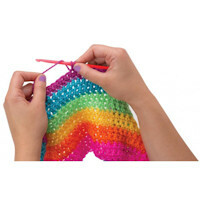 These knitting and crochet kits are ideal for beginners. 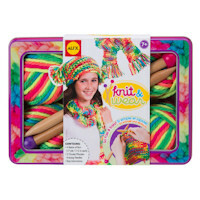 With easy instructions, and something to appeal to both children and adults, they're perfect for new needlecrafters. 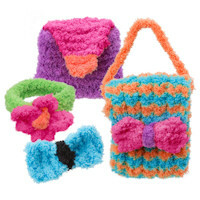 Click here for a list of other knitting and crochet kits available. A lovely knitting kit for beginners in a beautiful keepsake tin! 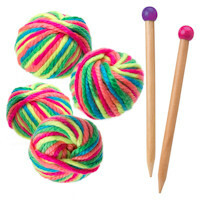 Learn to knit with thick rainbow yarn and chunky wooden needles. 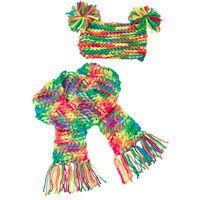 Create a gorgeous rainbow scarf or a funky hat. Thick yarn makes it fast and easy for beginner knitters. Recommended for children of 7 years and over. Tin size approx: 26cm x 18cm x 6cm. CAUTION: Contains needles with functional sharp points. 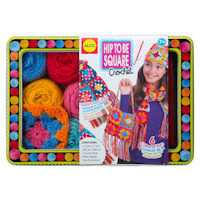 A bright, colourful knitting kit in a beautiful keepsake tin! Learn how to knit and crochet with this beautiful kit! 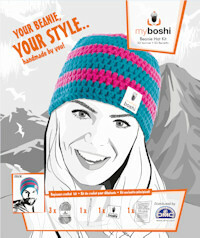 Contains everything you need to knit a scarf or a hat and then crochet some flowers to sew onto it. 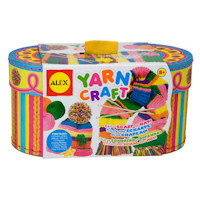 And it all comes in a colourful, reusable, keepsake box. Recommended for children of 8 years and over. Learn and practise the absolute basics of knitting with this handy little kit! Follow the simple instructions to learn how to cast on and off and how to create the essential knit and purl stitches. Colours and contents may vary from those shown. WARNING: THIS IS NOT A TOY. Adult supervision required. Contains sharp points and long thread. 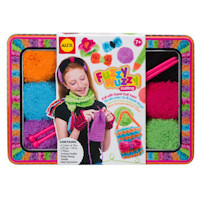 Knit these fun creatures to keep for yourself or to give to friends! Kit is supplied in a clear bag with carry handle. WARNING: THIS IS NOT A TOY. Adult supervision required. Not suitable for children under 6 years. Contains sharp points and small parts. 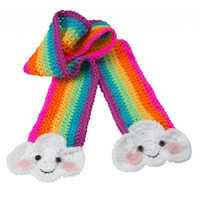 Crochet the cutest rainbow scarf complete with smiling clouds! The perfect, fun and easy kit for beginners in a lovely keepsake tin! A lovely crochet kit for beginners in a gorgeous keepsake tin! 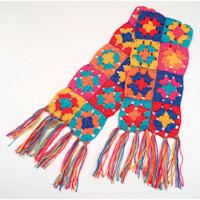 Learn how to crochet colourful squares and turn them into a hat, bag or scarf! CAUTION: Contains a needle with a functional sharp point. Top This! 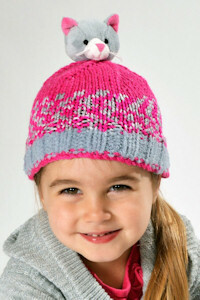 Knit a colourful child's hat complete with an adorable plush elephant on top! 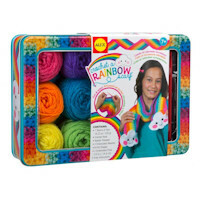 With just one ball of yarn, made up of alternating colours and textures, you'll create a fun beanie hat that a child will love to wear! 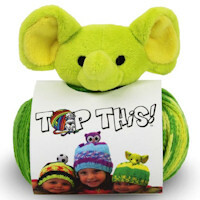 Then top off the hat with the cute plush elephant provided! 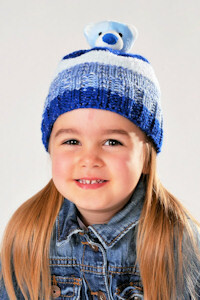 The hat can be completed in just a couple of hours using only knit and purl stitches - suitable for beginners and experienced knitters alike. Just follow the simple pattern and instructions supplied. 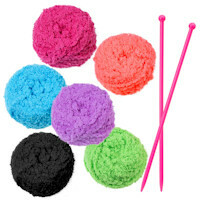 Size 5.5mm (UK Size 5) knitting needles recommended but not supplied. Top This! 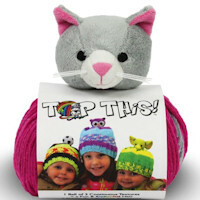 Knit a colourful child's hat complete with an adorable plush kitten on top! Then top off the hat with the cute plush kitten provided! Top This! 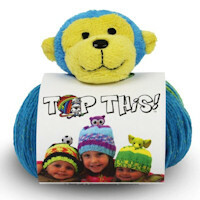 Knit a colourful child's hat complete with an adorable plush monkey on top! Then top off the hat with the cute plush monkey provided! Top This! 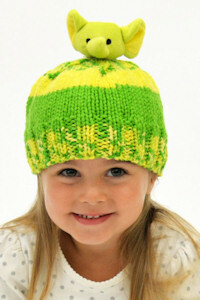 Knit a colourful child's hat complete with an adorable plush owl on top! 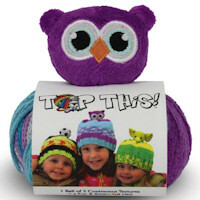 Then top off the hat with the cute plush owl provided! Top This! 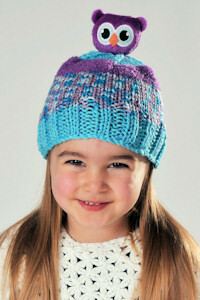 Knit a colourful child's hat complete with an adorable plush puppy on top! 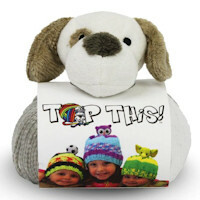 Then top off the hat with the cute plush puppy provided! Top This! 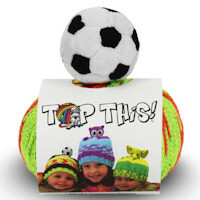 Knit a colourful child's hat complete with a soft plush football on top! 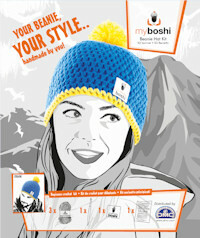 Then top off the hat with the plush football provided! Top This! 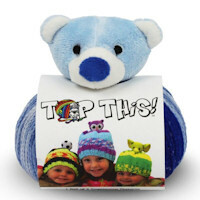 Knit a colourful child's hat complete with an adorable plush teddy bear on top! Then top off the hat with the cute plush teddy bear provided! 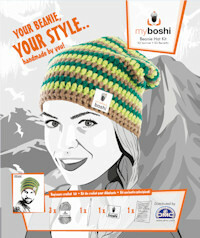 Learn to crochet with this starter kit containing everything you'll need to create a beanie hat suitable for a man or a woman. 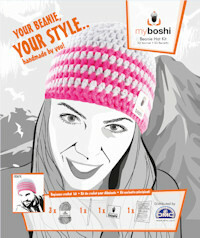 With quick to learn stitches for ease of making and an exclusive myboshi* label for a designer finish, you can crochet a beanie hat for yourself or to give as a special gift! 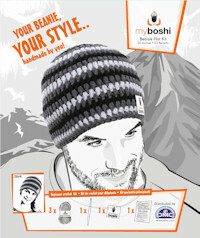 Your beanie, your style.....handmade by you! Just follow the simple instructions supplied. 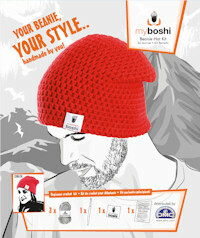 *boshi is Japanese for beanie.